We are pleased to provide a preview of the Stage W3 - Monash Release park which is due to commence construction late next month. 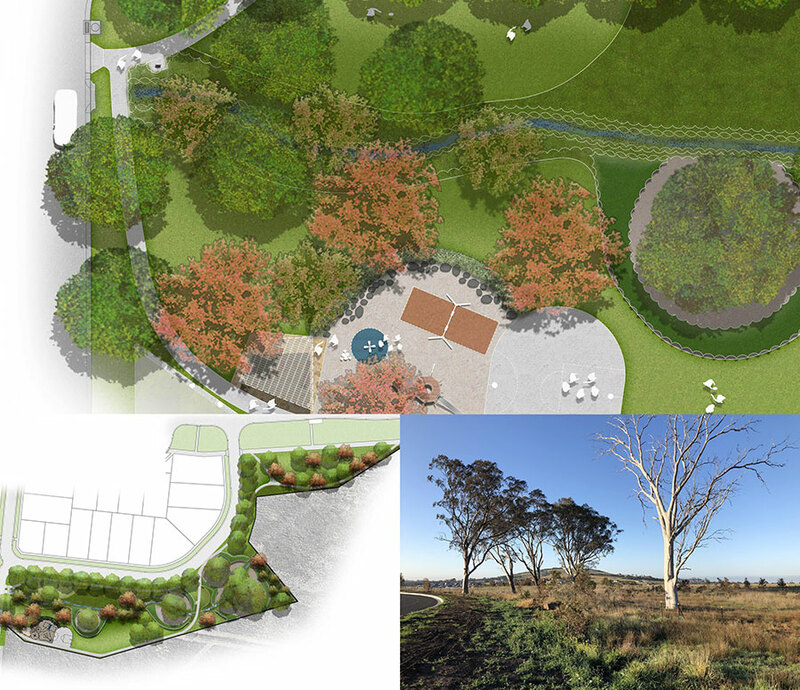 After careful consultation with Council, the overall design of this Neighbourhood Park will compliment the existing natural environment, including established trees & ephemeral creek edge to deliver a 2.5 acre reserve to suit all needs. This expansive 10,000 m2 park will be situated off Longtan Avenue and will border the 27 acre (11 Ha) conservation reserve. Once completed early next year, it will be one of four established recreation reserves within two minutes walk of each other - Langama Park, Sheffield Park & Lillee Park being the others. Over 60 new trees will be planted along with over 3000 edging and infill plants. The playground will feature a half basketball/netball court, tower with slide, swings, shelter with picnic seating and some small rockers etc for the little ones. Expansive pedestrian paths and kick about areas complete the park. We will keep you updated on construction as it progresses.